Budtender jobs are one of the leading jobs in the legal marijuana industry. The term (derived from bartender) positions the career as the face of the cannabis service industry. Most often found in dispensaries, budtenders are the knowledgeable, friendly employees who are there to help medical marijuana patients and recreational customers find the right products to suit their individual needs. As one of the most sought after entry level marijuana jobs in the rapidly growing cannabis industry, budtending is a competitive position that requires a variety of service and cannabis based knowledge and experience. Although budtender jobs are technically more entry level than other advanced careers in the marijuana industry, they come with many perks for the cannabis enthusiast and allow for major job mobility. The daily tasks of dispensary budtender jobs differ depending on the store’s location and setup, though there are some responsibilities that you can expect from working nearly any budtending job. Namely, customer service accounts for most of a budtender’s day to day responsibilities. Given that the demographic of cannabis users is expanding as stigma withers, budtenders must be able to cater their service to seasoned stoners and cannabis novices. Cannabis legalization has so vastly increased accessibility to a wide variety of products that even regular marijuana users require guidance when selecting a product. Many budtenders are responsible for facilitating a sale from beginning to end including assisting the customer in selecting a product, then subsequently weighing and packaging, as well as cashing the customer out and distributing all necessary literature as mandated by individual states and municipalities. Non-direct service related duties involve maintaining a clean, organized store and workspace. This includes restocking and tidying display layout, sweeping floors, etc. Budtenders are also in charge of filling and rolling “pre-roll” joints, trimming and weighing flower and anything else their supervisor requires from them. It should be noted that some dispensaries employ budtenders and receptionists interchangeably, especially in smaller establishments. Predominantly, marijuana dispensary receptionists are responsible for greeting and checking in patients and customers, processing any forms of required identification and entering information into online databases. Securing a marijuana budtender job is easier said than done. Especially since marijuana legalization and cannabis culture have been infiltrating popular culture, competition for budtending positions has increased massively. For this reason, candidates for budtender jobs should highlight the most relevant information on their application. Firstly, (and not surprisingly) budtenders should have in-depth knowledge of cannabis products and state legislation. This is pretty much a necessary qualification for almost all budtending jobs. While employers will bring budtenders up to speed on store layout, it is expected they can learn quickly on their feet. While many people might consider themselves cannabis experts, the range of knowledge budtenders must have or be able to acquire is vast and all encompassing. Being a regular marijuana smoker isn’t enough; budtenders should be able to recognize strains and differentiate them from one another by their characteristics and medical benefits. Budtenders should also be fluent in concentrates, edibles, tinctures, topicals and everything in between, so they can offer informed opinions when prompted by a patient or customer. Having viable hands-on experience working with marijuana is a major advantage when seeking a budtending job, as it makes the job of the managers easier when training new employees. Aside from cannabis industry experience, arguably the next most important qualification for budtending is customer service and sales experience. Budtending is the face of the industry: employees can make or break a customer’s experience and subsequent view of a dispensary, so it is essential that budtenders are comfortable attending to the diverse needs of their customers and patients. While it is generally preferred that budtenders have marijuana sales experience, working in an associated industry can also prove an applicant’s fitness for the position. For instance, a consistent background working as a bartender or barista is valuable experience, as it involves the knowledge and sale of speciality products like coffee and alcohol. That said, medical marijuana budtending is different from other careers as budtenders are charged with effectively suggesting beneficial products that will stimulate a course of treatment. Part of being a successful budtender involves listening and storytelling; especially in the case of customers who are new to cannabis, budtenders can really inform what people purchase based on their own experience with the products. Since the legal marijuana industry is still fledgling in terms of consistency, exact qualifications for budtenders are destined to change as new developments occur, exacting some regular standards for dispensary positions. There are a number of certifications and education/training courses for individuals who want to gain experience in cannabis and budtending before applying, but these should be approached with a discerning eye as there is no regulatory board detailing the efficacy or legitimacy of each program. When searching for a budtender certification program, conduct some in-depth research on a variety of options. Look at what each program offers, whether training is carried out online or in a conventional classroom/hands-on setting. Be sure to compare prices from one resource to the next, so that you are not spending more than you will make back. While budtending can be a rewarding position, the pay usually starts around ten dollars per hour plus tips and ranges to upwards of fifteen. For this reason, make sure not to overspend on certification programs, especially ones whose training is conducted exclusively online. If possible, check out any reviews of training organizations, as well as how many members have been certified and what their success rate is in the work force. It’s your investment, so put the time in to make sure it’s worth it! Finding budtender jobs can be a major relief for passionate, driven individuals who are also cannabis patients and customers, since they will no longer feel they need to hide their canna-enthusiasm from their peers and supervisors. 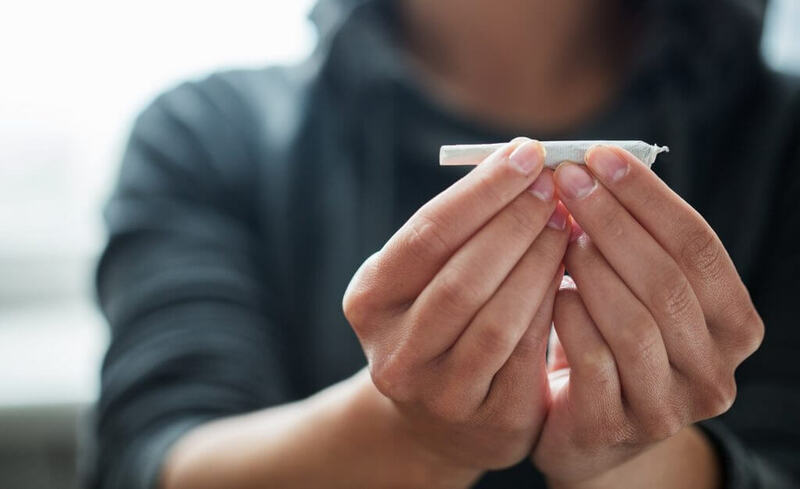 While there is no recreational consumption of cannabis products allowed on-site, managerial staff support an employee’s choice to use marijuana products in their free time. In some states, medical marijuana patients who are also budtenders can consume medical cannabis products at work, as long as they are not on the sales floor and are not intoxicated. Often, dispensaries allow budtenders a hefty employee discount, slashing prices on marijuana flower, concentrates, edibles and more, making this a major perk for the economically limited budtender. Working as a budtender means being part of a close-knit community of cannabis culture thespians. Mentioned above, budtender job wages are often calculated by a sliding scale of hourly rates, though pay is ultimately commensurate with experience. Most dispensaries allow patients and customers to tip budtenders, driving the hourly rate up higher. Budtenders who are promoted to head budtender or manager will obviously receive pay increases as well. Budtender jobs are really valuable springboards for obtaining advanced professional success in the marijuana industry. The job allows for meeting industry professionals and looks great on a resume. Budtender jobs might not be fun every second of every shift, but there really aren’t that many downsides to the job. Like any customer service position, serving a large variety of individuals everyday can include some unsavory interactions from rude customers, though budtenders with experience in situations like this can usually deescalate the exchange without major issue. Depending on the size and location of the dispensary, budtenders may have to grapple with periods of extreme busyness, as well as lulls. Rushes often occur at times when individuals come to and from work, or on nights and weekends. Budtenders must be able to work quickly, without losing their cool. Luckily, some dispensaries cull customers in waiting rooms until the budtender has completely finished facilitating a customer transaction. Aside from a relatively modest income, the only other significant downside to marijuana budtender jobs is stigma against the position itself. If you are working legally as a budtender, then technically you have nothing to worry about from a legal standpoint, however, some people still do not respect the marijuana industry or its employees, trying to strip budtenders of their credibility. There is nothing to be ashamed of when working a budtender job and by acting as a professional liaison between the marijuana industry and its customers, budtenders are helping to erase the still prevalent stigma. So, you’ve done your research on budtender jobs, considered options for budtending certification courses and dialed in your resume to highlight only the most relevant skills for the job. Now it’s time to apply to a marijuana dispensary. Due to high application rates, it is best to submit to several dispensaries (if not more) to improve your chances of being selected for an interview. Strongly consider applying to any local dispensaries you consistently visit. Dispensary owners and managers love to hear that prospective employees regularly visit their shop without being prompted to do so. Also, being a familiar face in a dispensary can help establish some credibility since hiring managers are looking for trustworthy individuals, which is a difficult quality to gauge after just an interview. It’s no secret that knowing someone personally in an industry can help when trying to get hired and this remains true for budtender jobs. Use any contacts who work as budtenders, receptionists, managers, etc. in a dispensary to at very least offer some advice on how they’d suggest going about finding a job. In essence, utilize any and all resources at your disposal to achieve your desired position. The process of applying for budtender jobs varies hugely as there are few professional forums for locating open budtending positions. Sites like Craigslist and Indeed are go-tos for reaching a wide audience of candidates, but these forums are often too generalized and disorganized when trying to find more than one budtending job at a time. For this reason, professional level job recruiting resources like Canna Recruiter are necessary for advancing and streamlining the process of finding your dream job in the marijuana industry.